We offer Repair And Maintenance services to our clients. 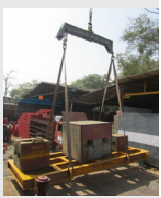 - Chain Pulley Blocks, EOT Cranes, Hydraulic Jacks. - Monorail Hoists, Air Winches etc. With the aid of well-informed team, we are betrothed in rendering EOT Crane Preventive Maintenance Service. These services are vastly admired among our clientele for their timely completion. Our offered service is accomplished using the advanced techniques. In addition, these services are rendered at nominal prices. 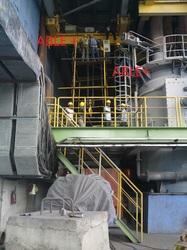 At most reasonable rates, we are providing Double Girder EOT Crane Maintenance Serviceto our patrons. Our company is highly esteemed in providing EOT Crane, Jib Crane repairing, erection and comissioning as well as AMC Service to the clients. Best quality of EOT Crane Maintenance Service is provided by us to customers as per their requirements. Captivating the skills of our professionals, we are involved in rendering EOT Cranes Maintenance Service.